In the past month, nativist groups like Civic Passion (熱血公民) and Hong Kong Indigenous (本土民主前線) have been staging weekly rallies against parallel traders in Sheung Shui, Yuen Long and Tuen Mun, three of the areas most affected by the growing influx of Chinese shoppers. Because parallel traders don’t bear a mark on their foreheads, protesters wind up targeting anybody seen with a bulky baggage on the street. The lucky ones get heckled and mobbed, while the not-so-fortunate have their possessions searched or thrown about. Still others, like the elderly busker who happened to be passing through with a large amplifier in a cart bag, get mistaken for Mainlanders and roughed up by protesters. Pretty despicable stuff. For years, day trippers from Shenzhen and neighboring Chinese cities have been crossing the border using multiple-entry permits. While here, they load up on daily necessities – diapers, baby formula and skincare products – and resell them at a higher price in the Mainland, where demand for safe, reliable consumer goods is insatiable. These arbitrageurs come in droves and buy in bulk, transforming residential neighborhoods into a ubiquity of pharmacies, jewelers and cosmetic stores. Retail rent soars and so do prices of everyday goods. Sidewalks get so congested that pedestrian traffic often snarls to an aggravating halt. 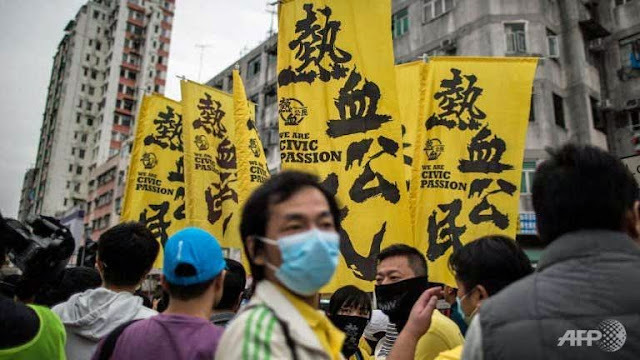 Inaction by the Hong Kong government, either for a lack of political will or for fear of antagonizing local authorities in the Mainland, means that residents in northern districts must accept these impositions as the New Normal. While their gripes have fallen on the bureaucrats’ deaf ears, nativist groups have seized on the growing frustration and used it to step up their anti-Mainland rhetoric. Vowing to help local residents take back their way of life, angry protesters descend on the neighborhoods with banners and megaphones to drive out the personae non gratae. Parallel traders make for a perfect political target: they offer nativist groups the kind of moral high ground that ordinary Chinese shoppers do not. 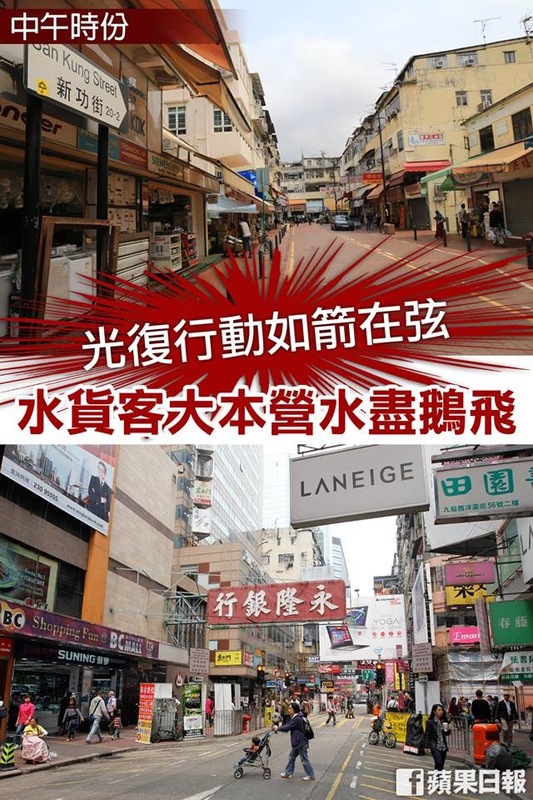 In the past, harassment of Mainland visitors – such as the bouts of “anti-locust” rallies on Canton Road – failed to win public support and almost always backfired. Most Hong Kongers take the view that xenophobia has no place in our society, and that the inundation of Chinese shoppers is to be blamed on our government’s policy failures instead of the tourists themselves. To use an analogy, if a flight is overbooked and more people show up than there are seats available, the fault lies with the airlines and not the passengers. But parallel traders are not your average Mainland visitor. What sets them apart is the notion that they are engaging in an illicit act. The thought of these tax-evading bootleggers plundering our supply of daily products, smuggling them by the suitcase across the border and flipping them for a quick profit hits a nerve with law-abiding citizens in Hong Kong. The element of illegality makes them political red meat. It gives nativist groups the moral authority to go after these perceived criminals, and to right a wrong that our government has failed to act on. All that verbal and physical abuse against them seem like just deserts. But the time to debunk this misplaced righteousness is now. For starters, day trippers from China enter Hong Kong legally using multiple-entry permits granted under the individual traveler scheme. Like any other tourists, they are free to shop anywhere in the city and as much as they want – except for baby formula, which is subject to a two-can daily limit. 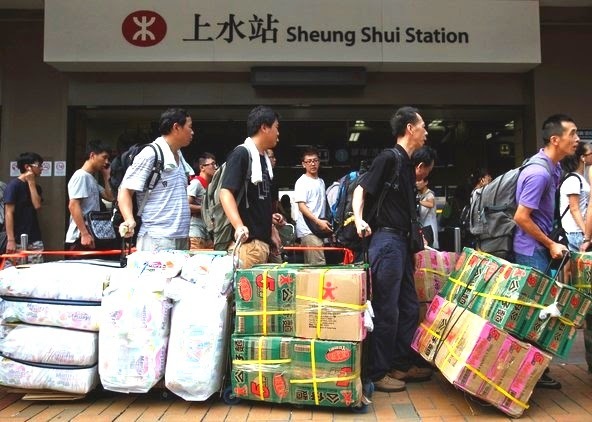 As long as their purchases are for their own use or benefit, they do not run afoul of Hong Kong immigration law which prohibits any form of employment during their stay. No law is broken until they reenter the Mainland without declaring their purchases at the Chinese border. But their failure to pay duty to Mainland authorities has nothing to do with us or with our laws. We don’t give a hoot if an American tourist leaving Hong Kong slips an extra bottle of wine through U.S. customs on his way home, and so why should we care now? It seems ironic – and entirely hypocritical – for anti-Mainland groups to be up in arms when a bunch of Chinese citizens decide to deny the Communists tax revenues. In fact, the protesters’ indiscriminate harassment of day trippers and anyone mistaken for them is a confirmation that they are more interested in capitalizing on cross-border tensions than “liberating” northern towns that have been overrun by parallel traders. 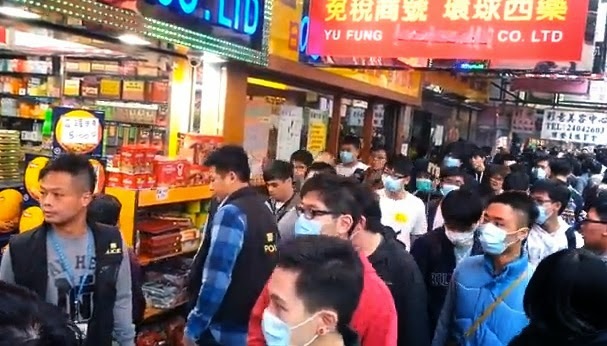 Perhaps that shouldn’t surprise us, because some of the protest organizers are the same agitators behind the “wreak-and-run” incident that happened in the final days of the Umbrella Movement, when masked men smashed the Legco Building’s north entrance, incited others to enter the premises, and then fled the scene when police showed up. As deplorable as the protesters are, their tactic seems to be working for the time being. The number of Chinese visitors, especially day trippers, has plummeted since the protests began. 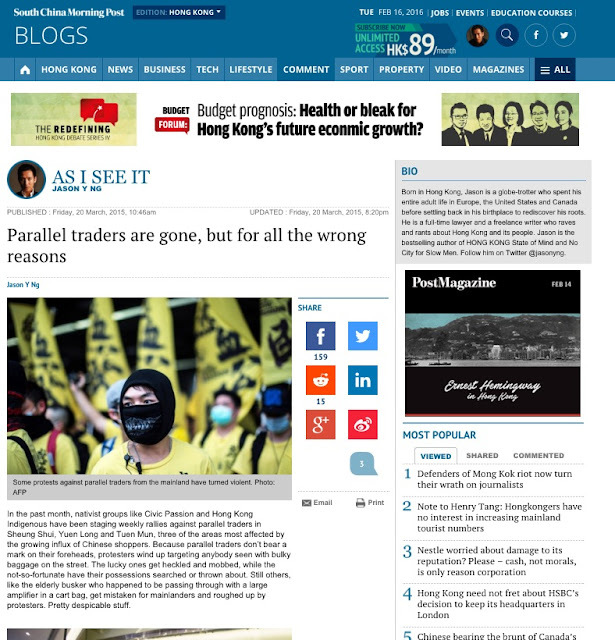 This past weekend, parallel traders have all but disappeared from northern New Territories. Streets in those areas are wide open and shopping malls are quiet. Neighborhoods have suddenly returned to the way they once were. Even though there is no telling how long the truce will last, local residents can, at least for now, enjoy a bit of peace and quiet. It would have been a far better scenario, however, if the same outcome were achieved by concerted government efforts to stem parallel trading – such as by tightening the individual traveler scheme, imposing an arrival tax to eliminate the parallel trade arbitrage, or building dedicated shopping facilities near the border – than through intimidation and third-rate thuggery by a few self-righteous vigilantes. The end, however desirable, does not justify the means. This article was published in the South China Morning Post under the title "Parallel traders are gone, but for all the wrong reasons."